Never Ask For A Kiss, Just Take It. Never Ask For A Hug, Just Give It. 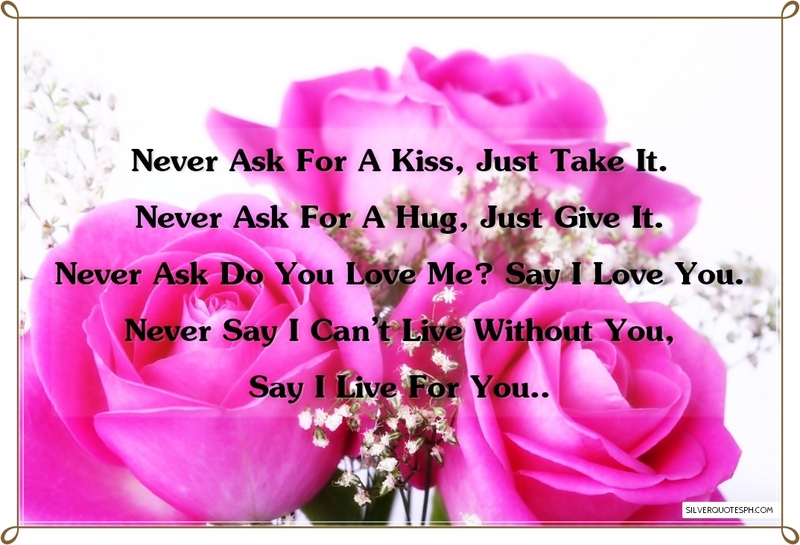 Never Ask Do You Love Me? Say I Love You. Never Say I Can’t Live Without You, Say I Live For You.